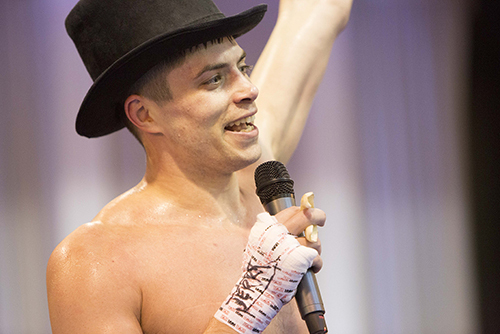 Despite some issues with the ring, Gateway Fighting Series hosted a large and enthusiastic crowd for nine kickboxing bouts that got everyone out the door by 11 pm. This event marked the eighth St. Louis event for Jared Daniels-Block's promotion, and the seventh at the Heart of St. Charles. "I thought the fights were great, the match-ups that happened were amazing," Daniels-Block said. "The main event between O'Brien and Thomas Jenkins was an awesome display of striking. Murphy and Smith went at each other like I thought. Sheldon had some cardio issues, but other than that it was a great match. They went out there and tried to finish each other." In the main event, the local fighter took home the win as Quinton O'Brien outpointed Thomas Jenkins to take home an unanimous victory. O'Brien, who coincidentally made his professional debut at the Heart of St. Charles, appears to have come full circle with Friday's performance possibly his last. While he wouldn't completely commit to a retirement, the writing is on the wall. In the first round O'Brien came out with constant pressure not allowing Jenkins to use his range. "I knew he was a big, long guy," O'Brien said, "The gym he comes from, they're usually pretty technical, they're all tough as hell, and throw heavy. I knew I just had to keep interrupting his timing. I knew if I stood back and let him get off, he'd have times to get his hips around and hit me with full power. I was trying to just stay in the pocket, which is a departure for me, and keep hitting him constantly." O'Brien would continue to push forward, dictating the pace of the fight never letting Jenkins get into a rhythm. With a win in the books, O'Brien seems to be hanging them up. Work-life balance, and the demands of a career that keeps him on the road, O'Brien isn't able to train as much as he would prefer. "It's a little bit of everything," O'Brien said. "This is almost nine years to the day of my first amateur fight. I've been training for 10 plus years, on top of that I've always had a 40-hour work week. I travel a lot for work and its just gotten harder and harder to make work. I just couldn't do it consistently enough to make it worth it. I hit my goal, I fought on TV with Glory, and had a good fight despite losing a decision. Then I went and had one back home against a tough opponent in front of my friends and family." The 35-year-old O'Brien improves to 3-1 as a pro, with a 21-7 record as an amateur. "This is very likely my last one," O'Brien said. "Unless something drastic happens there's just enough guys now, the garage in the gym, I get a lot of fulfillment in coaching these days. I had my fun, I hoed my road, I've fought all over God's creation when no one from here was, and I'm happy with what I accomplished." Bitter rivals Sheldon Smith and Matt Murphy provided fans with the most action paced fight of the night. In the first, Murphy connected with kicks to the body, following with a big overhand right which seemed to get the attention of Smith. The second saw Smith keep his distance, making for a fairly even round with no fighter landing with much damage. Murphy appeared to have the better cardio and it showed as Smith began to fade in the final round. Late in the round, Murphy would again connect with a big right that put Smith down to one knee, the only knockdown of the fight. When the scores were tallied, Murphy would be declared victorious 30-26 by unanimous decision. After the fight, Murphy's coach Kain Royer mentioned Murphy's recent maturation and the transformation from the "KO Kid" to the "KO Man". Due to concerns about the safety of the fighters, and the condition of the ring, the super-heavyweight fight between Charles Rodgers and Deon West was scrapped. 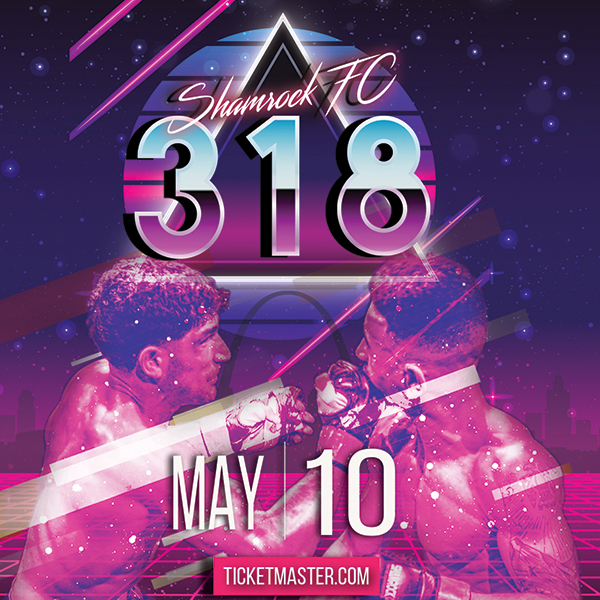 Also removed from the main card was a match between Luke Nelson and KJ Jones when Jones was late for his pre-fight obligations and the Missouri State Athletic Commission removed him from the card. "It's unfortunate, it's an old ring," Daniels-Block said. "I would rather them get hurt fighting each other than get hurt in an accident. I don't want to see anyone go through a ring and get hurt, and that could have hurt other people as well." On the amateur side of things, Marcus Brownlee defeated Johnny Cox by TKO when Cox couldn't answer the bell in the first round after a knockdown. Cox appeared to be fine, but wouldn't respond to referee Mike Wasem's directions and the veteran ref was forced to wave off the fight. Brandon Beatty continues to impress with a dismantling of Dylan McCollum. Beatty, out of the Wolves' Den, used a nasty right kick to wear down the legs of McCollum until McCollum just wasn't able to stand. Beatty alternated leg kicks with whipping kicks to the body to keep McCollum guessing until he was able to get a second round TKO. Danny Moriarty from Watson Martial Arts simply outclassed his opponent Richard Jones in their bout. Moriarty proved to be too elusive for Jones as he used his angles to get in and out of danger while peppering Jones with combinations. Moriarty would cruise to a unanimous decision. In the evening's only female bout, Drea Hawkins defeated Jennifer Higgins by a unanimous decision. Relentless pressure from Hawkins left Higgins looking for a fight-ending punch which never came. 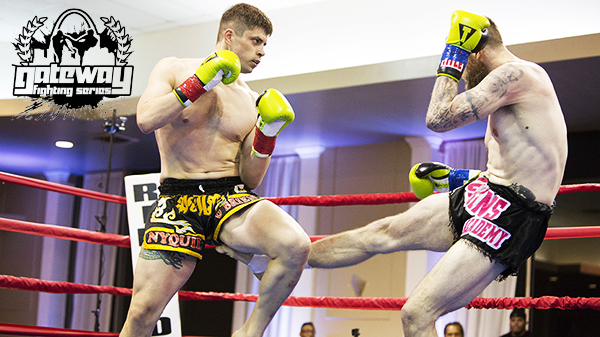 In the closest fight of the night, Brandon Breault defeated Edwin Rowe by split decision. Breault came out firing in the first to win the round, but from there it got fuzzy. Rowe nearly dropped Breault to the ground in the second before Breault would rally to possibly steal the round. Rounds two and three were simply too close to call which is evident by the judge's not able to agree on a clear winner. Kicking off the show was Colin Parr and Tyler Roussin with Parr getting the better of his opponent scoring a unanimous decision. The bout was even early, but Parr caught Roussin with a punch that seemed to rattle his brain, and possibly his confidence. A busy summer is on the calendar as GFS readies four pro events in May, June, and July. "We have boxing in May, a stacked card with some of the biggest names in boxing on the card," Daniels-Block said. "I took most of the roster from Rumble Time and we have them on the show. In June we have MMA, Then on July 14th we have boxing, and then July 21st we have MMA, so back-to-back weekends."